It doesn't get any better than this. This is the bit we plan for, dig for, weed for, long for... and here it is, those few sweet weeks when everything bursts with life around us, and every day there is something new in the garden to marvel at . 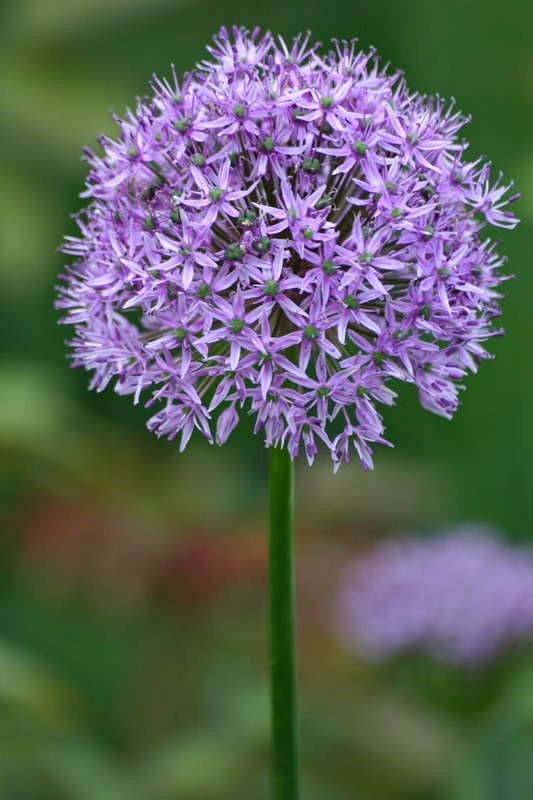 The Alliums are just coming out now, huge spheres of colour floating above the rest of the planting. Every year I tell myself I must plant more, then promptly forget once they finish flowering! 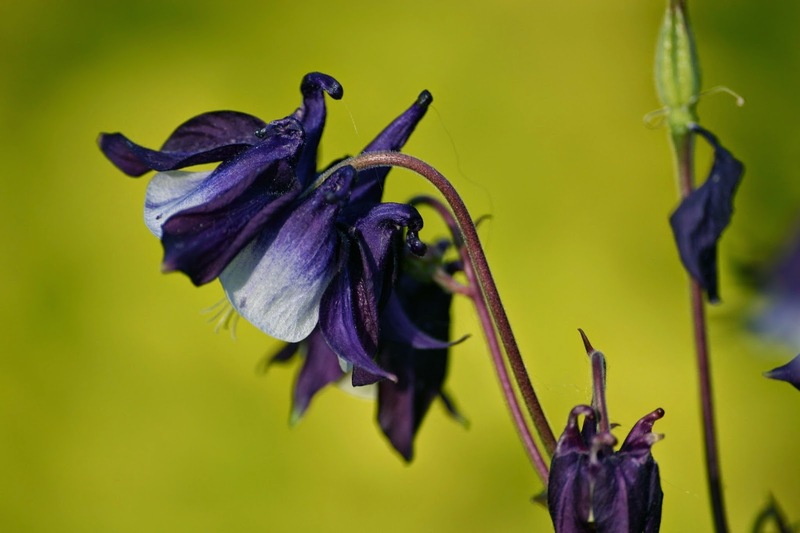 It's aquilegia time too, and I have allowed them to spring up in unlikely nooks and crannies as well as filling the borders with splashes of colours. Last year I bought quite a few to supplement those already self-seeding around the garden, as they were losing vigour somehow. The colours were washed out pinks and mauves, and the flowers were getting smaller and smaller. 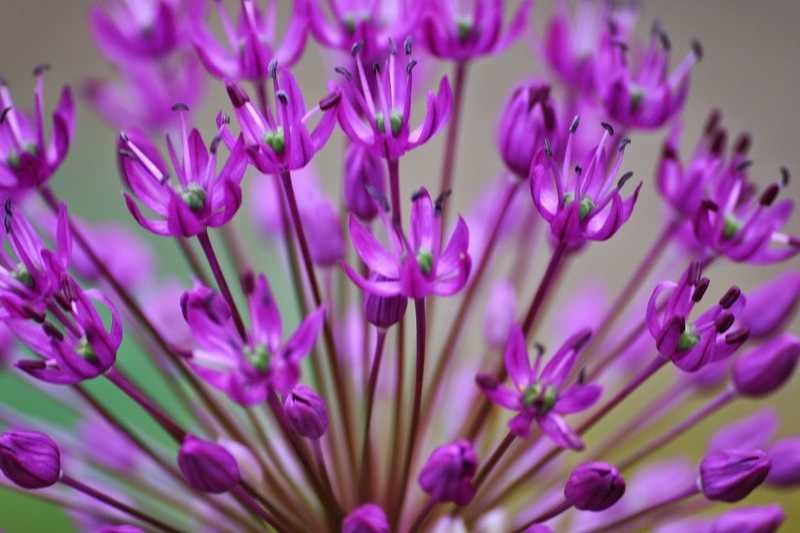 I introduced strong new colours like the dark purple, and larger flowers, like the pink and cream plant shown above. I hope that that their influence will be seen in the self - seeds over the coming years. 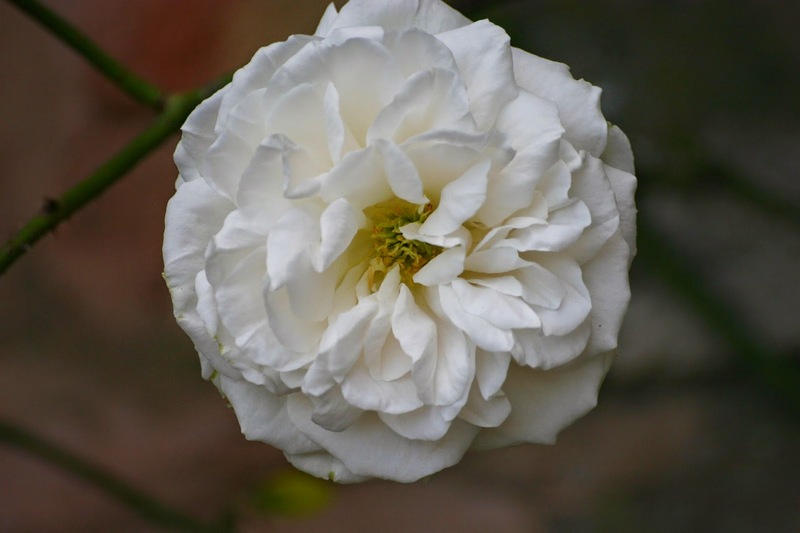 The first rose opened about five days ago - the climber 'White Cloud' and today one of my new roses began to flower for the very first time. It is a repeat flowering shrub rose, 'Alissar Princess of Phoenicia' and I am really excited, as it is a lovely, big flower with very subtle pink colouring, and a dark eye. 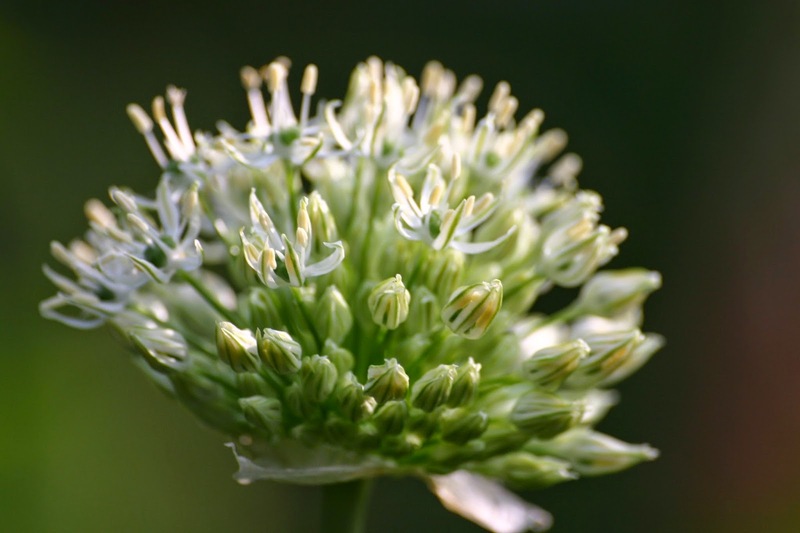 I find chives (pictured above) are very useful to fill an odd corner, or to place at the front of a bed. 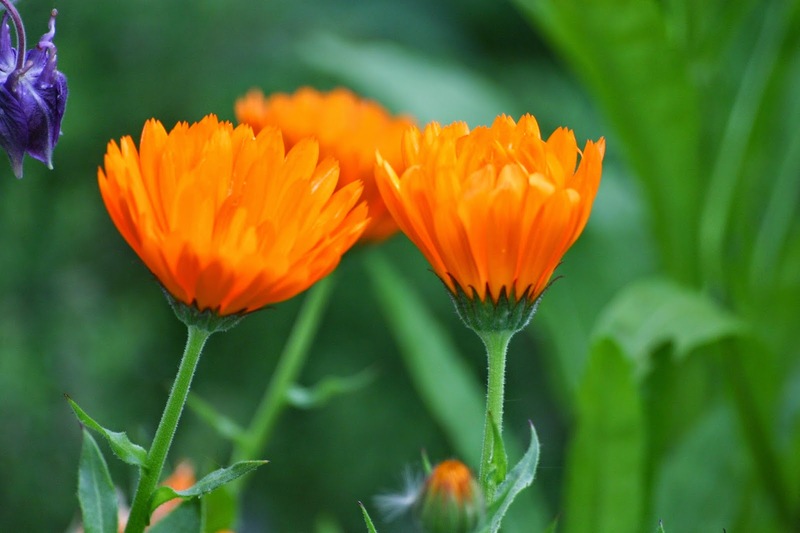 They split easily, and seem to grow happily in most conditions. This Cerinthe made it through our mild winter, in the border, with no protection at all. 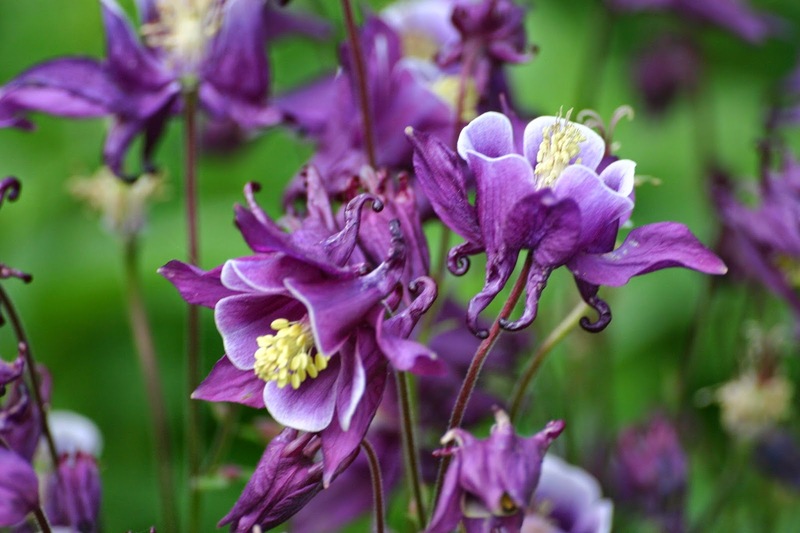 If you have never grown them they are a lovely and unusual flower with fantastic glaucous foliage. 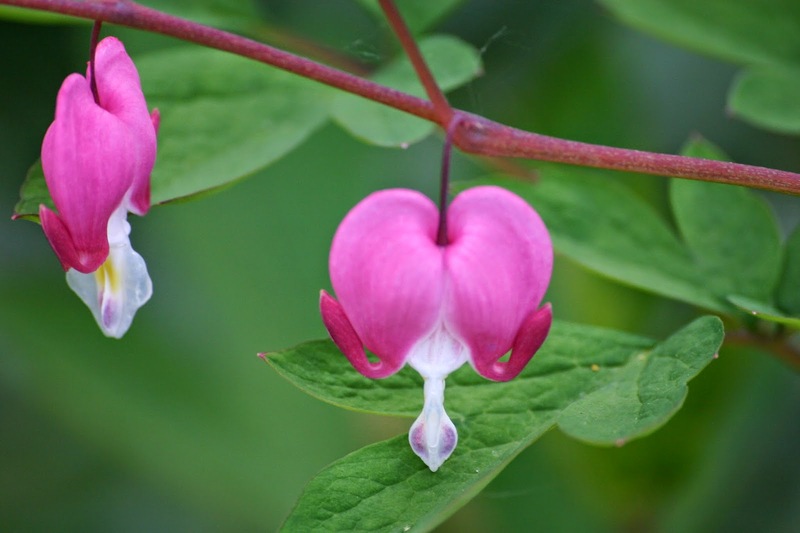 They are very easy from seed, but tender, so it is worth saving seed every year and treating them like an annual. I also make sure I overwinter at least one in the greenhouse. 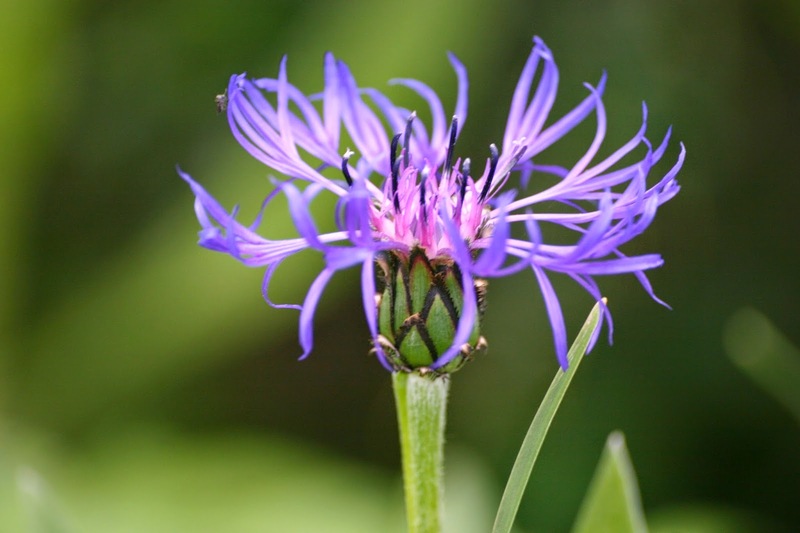 Centaurea, the perennial cornflower, is a thug in the garden, and left to its own devices it bullies more fragile plants, and pushes them out of the way. However, the blue of the flowers is so intense I can forgive its faults for the most part. 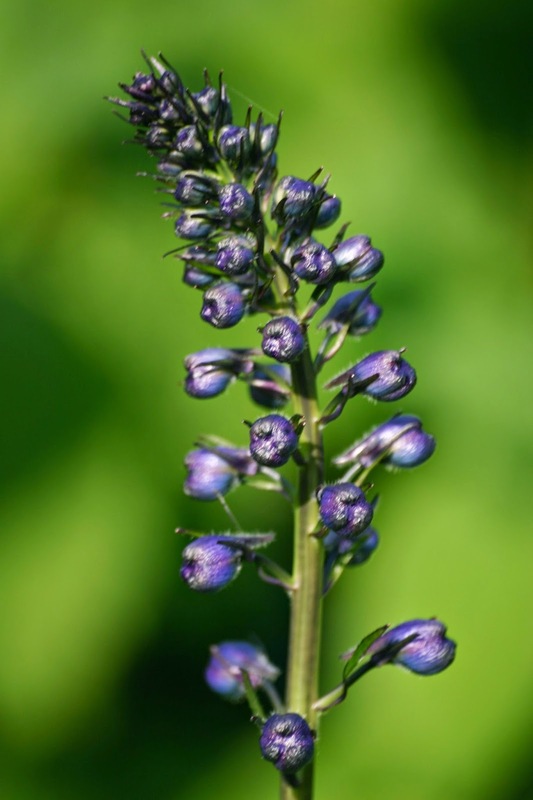 It will grow anywhere, and will self seed where there is little soil. After flowering I cut it right back and it has another flush of flowers within a few weeks. The promise of delphinium flowers yet to come. These are going to be a dark and intense blue. However, if I don't get them staked, I will get up one morning to find them collapsed in a heap, after a heavy shower ! 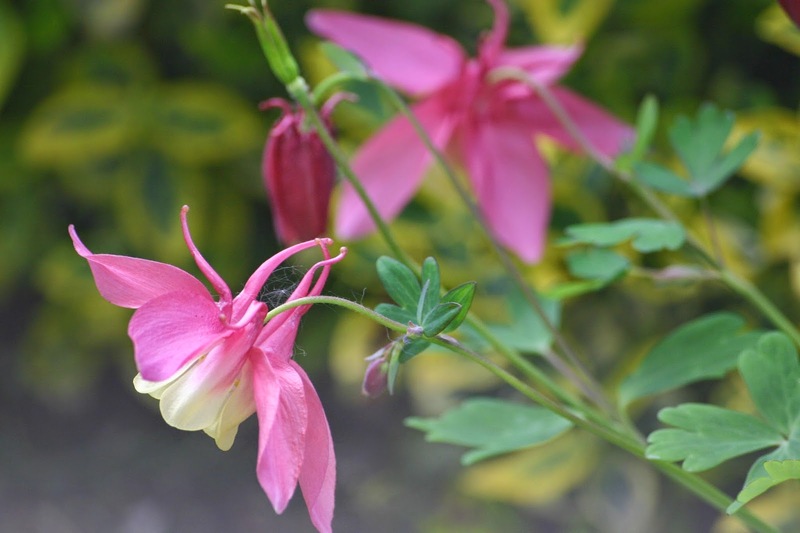 What's not to love about Dicentra, in the pink and the Alba forms ? 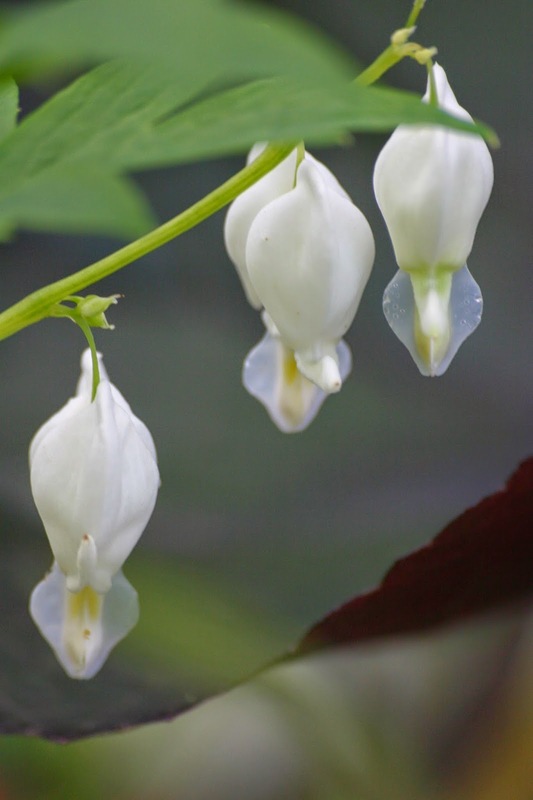 The flowers are unusual and intricate and well deserve the name of 'Bleeding Heart'. 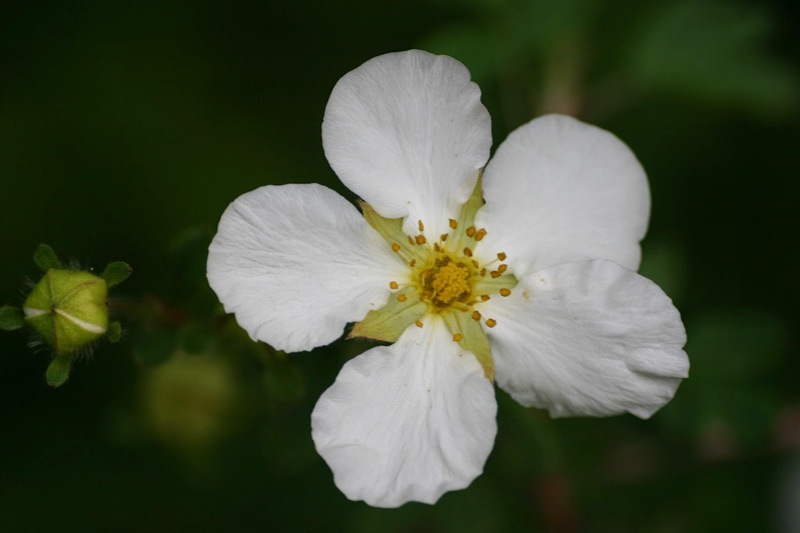 Why do the plants we don't like, grow so well for us ? Is it spite ? 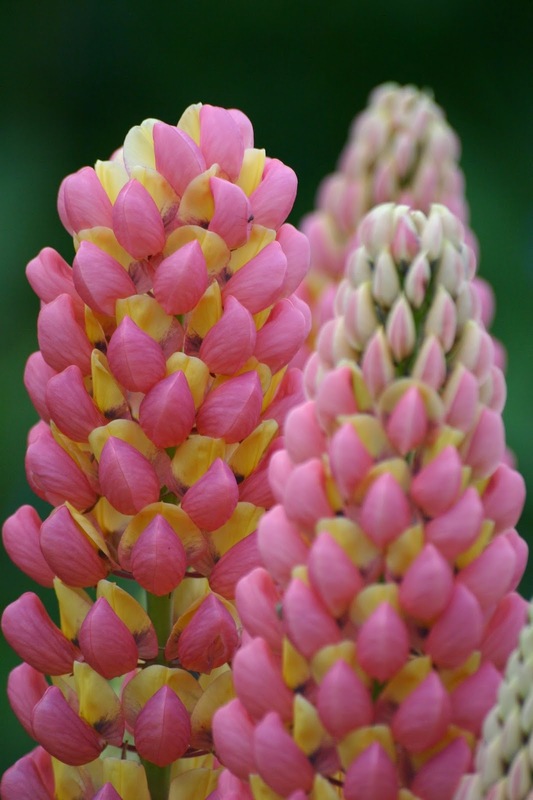 I dislike this bi-colour lupin - well, all bi-colour lupins actually, and I can't remember what possessed me to but it in the first place. I have loads of the blooming' things. All enormous. 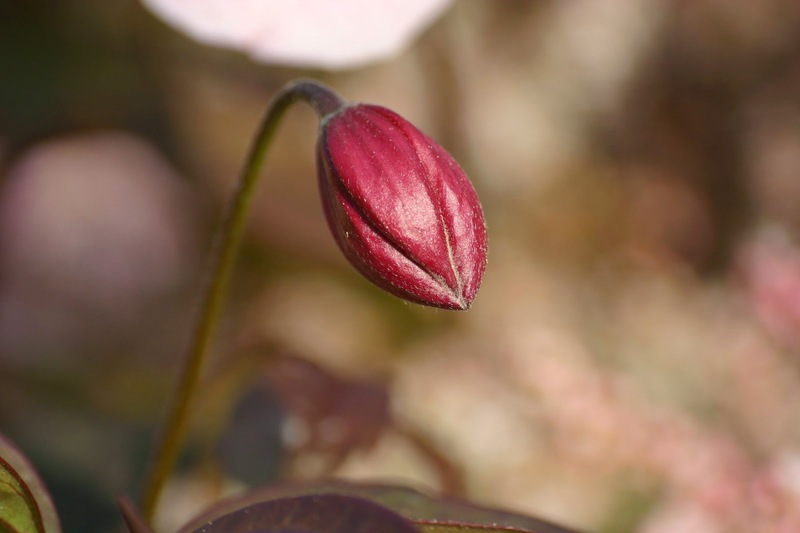 Clematis Montana, and bud, growing through the Tamarisk tree, which is also in flower. I thought they would make a good combination, and they do, but the Clematis is mustard and grows almost as you watch, so needs a lot of cutting back and pruning to keep it from smothering the tree. Yet more self seeds, and they all brought themselves into the garden ! Bright and cheerful, they come in acid yellow and fluorescent orange and they are guaranteed to ruin any subtle colour theme ! Incredibly beautiful flowers and wonderful colors of spring ! 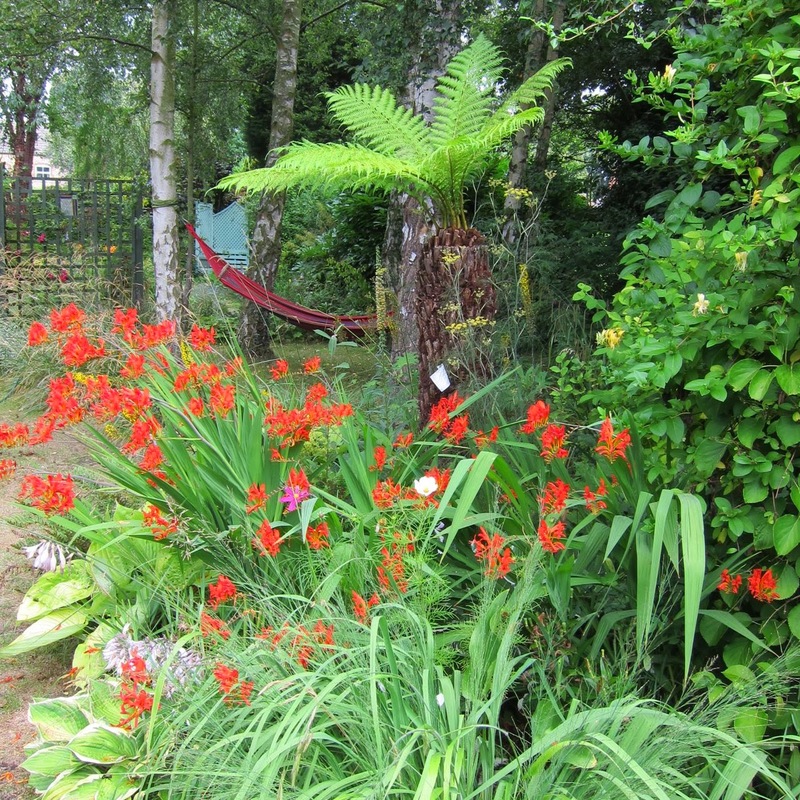 Hi Ela, thanks for your comments - I enjoyed my visit across to your blog! 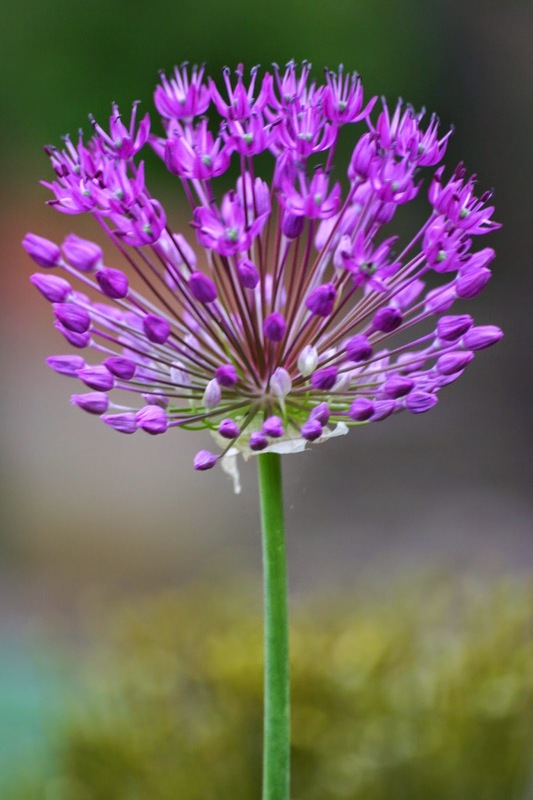 I see you have the same Allium problem as me - always forget, I bought 5 pots of a single bulb a few weeks back, boy what an expensive way to buy them! I won't be doing that again in a hurry. Maybe that will encourage me not to forget in Autumn! 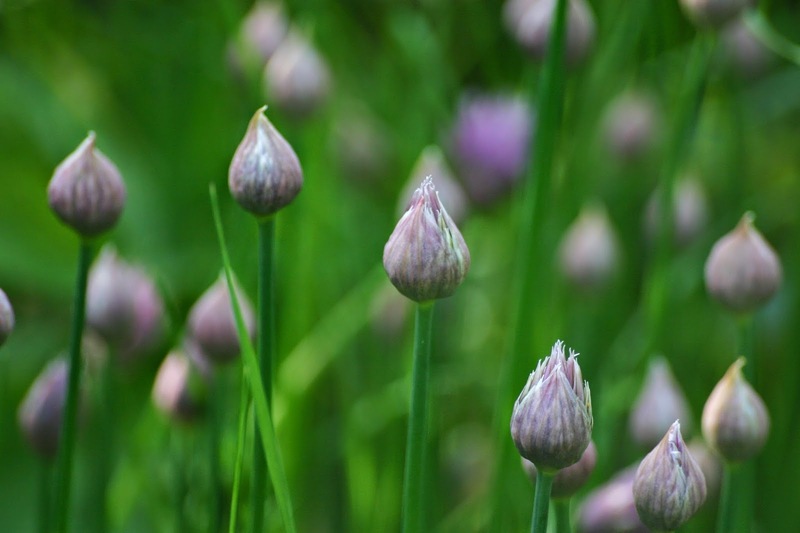 Those Chives are popular, I must add them to my autumn list too! You've a wonderful array of colour Jane - and as you say, it's only the beginning! Enjoy your week. Hi Angie, I've even got a book to write garden notes in and everything ... still forget !! This certainly is the best time in the garden, everything is growing so fast and I'm trying to keep up with it! My chives have seeded into the cracks of the paving where they were under water for most of the winter, they don't seem to mind at all, in fact they are increasing! 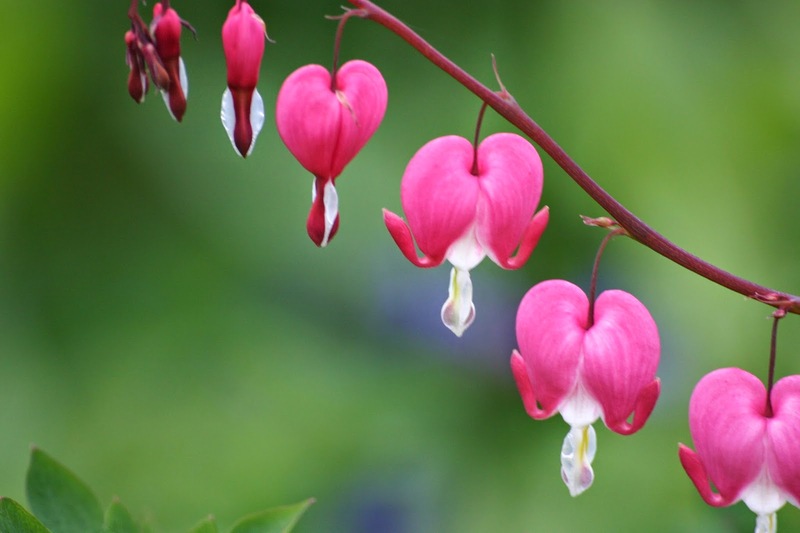 Your dicentra flowers are stunning and maybe your lupin will suddenly die like mine did for no reason at all, one year alovely huge plant, the next nothing! Hi pauline, chives have certainly cracked this survival thing! I do like them though, they are so useful in little corners which are difficult to fill. I also love the smell ! I don't know whether to commiserate or congratulate about your lupin !! was it well loved ? What beautiful photos and I love your commentary on all the flowers. You are so right, it really doesn't get any better than this! You've given me a few planting ideas too. Hi Daniela, thanks for comments ! Your garden is exploding! It must be so gratifying to see the fruits of your labor. Although I don't love cool and rainy weather, I must say that it does wonders for the garden, especially compared with North Carolina heat. Lupines or delphinium are practically impossible here. Hi Sarah, thanks for comments !! I think delphiniums and lupins are our reward for all that cool and rainy weather - there have to be some consolations ! Beautiful pictures, Jane. 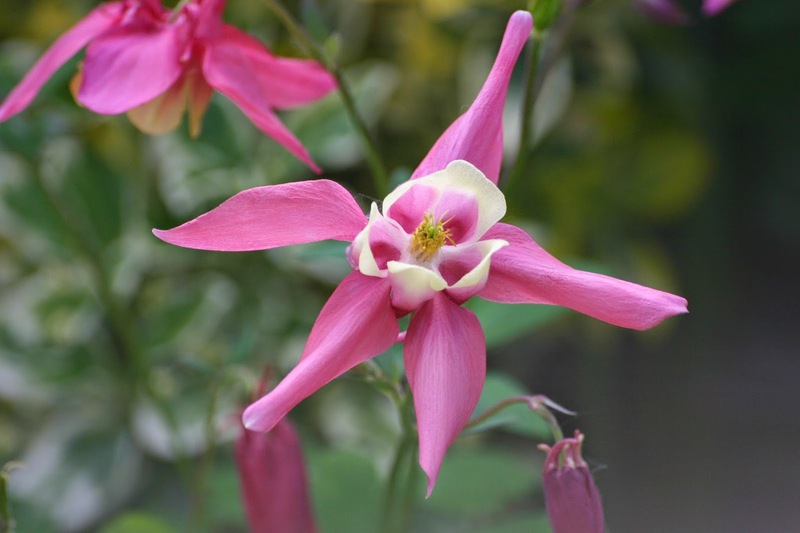 I love your Aquilegias. They're one of my favorites and such great colors.....I'm the only one I know who can't grow perennial bachelor buttons! A thug! ha! I have one little plant that's pathetic which has been in my garden for 4 years....it'll be a miracle if it blooms.....I love your Lupines and I'm giving them a try again....a garden failure of mine....perhaps this time they'll make themselves at home. Happy Gardening! Hi, I share your pain with plants which grow for everyone else but sulk, fade away and finally die with me! The list is endless - lavender, aubretia, alstromeria ... need I say more ! Beautiful! My cerinthe is settled into a pot and growing well. I grew it from seed this winter after buying the seeds on a whim. I've never grown it before. I can hardly wait until it blooms! I love your photography. Such exquisite photos. :o) My thug is knautia. It self seeds everywhere. Hi Tammy, don't know about you, but I have a soft spot for the thugs ! they are so bold !! 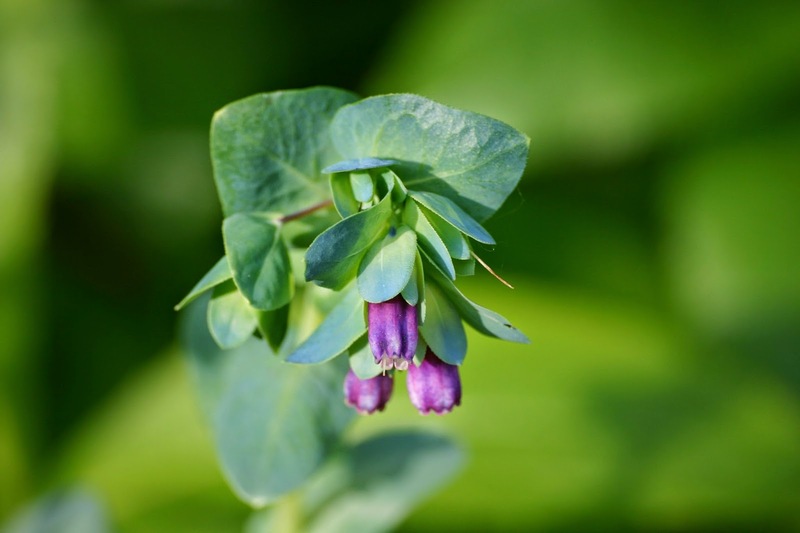 Cerinthe is such an interesting plant, and the flowers are definitely worth waiting for. Due to the vagaries of our climate I am never quite sure how it will perform but it seems to like it hot and dry, and dislikes the cold and wet. I think. I have a brick orange perennial poppy that I loathe , but like some crazed zombie-plant ... it will not die !! I know what you mean about the stiffness of lupins, to my cost. We had absolutely torrential rain last night and it has knocked all the lupins totally flat. The heads are saturated and so heavy and the stems have just broken. They are ruined I'm afraid. Glad Cerinthe is happy with you and that your pink Dicentra now has a chum !! Tree following - a tale with a tragic ending ?